It's on my short list one day. Also have APR springs for sale with only about 1k on them if that. Getting ready for an oil change, Cobb intake and CTS Turbo muffler delete and turbo blanket install this weekend. Should be loads of fun! 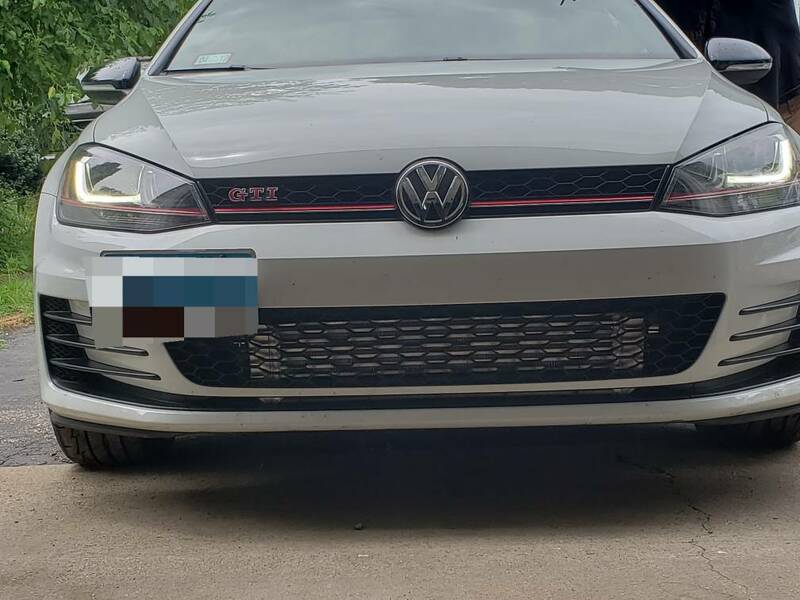 I'm curious to how bad the turbo blanket is on the mk7 platform. On the mk6 it sure is a royal pain to do with the turbo still on the car. Haven't done one for a mk7 yet. From what I have read and seen so far, it doesn't look too bad. I will let you know when I am done with it, lol. Don't forget to tape your forearms! Sure beats getting fiber glass all over your skin. Where has everyone gotten their window tinting done in the Chicago area? I'm considering Tints Unlimited in Elmhurst or Premier Tint Pro in Aurora. Should I stick to getting ceramic material or is a mid-range film sufficient? Looking to block UV/heat into the car and up the aesthetic look of the car. Word of advice to you mk7 guys. Stay away from Mabotech. I installed one of their intercoolers for someone yesterday. Fitment was complete gatbage, the hoses were half an inch too big in diameter. Packaging was terrible and the mounting brackets we're both bent. Iended up talking to Frank the owner and he was full of excuses while offering no solution. Good thing my partner and I can also fabricate and was able to make a shim for the intercooler in order to make it work. All is fine in the end, but honestly when spending 600 on an intercooler I would expect it to fit spot on. I wonder how many kids are out there with boost leaks because they weren't able to make a proper shim. But Facebook says it’s the best. Anyone heading to, or ever heard of Dub Fest? It’s taking place in August near Chicago. Never been to a car meet before and googled VW meets last night... it popped up. Kinda curious if anyone had any thoughts about it. Yup, have attended every year and our group Deutschland Raketen has showed up with 20+ cars. Its a good time, its relatively short, noon-6pm. This year its way closer at the Chicago Executive Airport instead of the Lake County Fairground. Old Car - 2009 MkV Rabbit aka "The Bad Bunny"
Wish I could attend. In Columbus this whole summer for an internship. Enjoy guys, be sure to post some pics if you go!